While Nandamuri Kalyan Ram and Shalini Pandey's romantic relationship is established right at the start of the 118 teaser, Nivetha Thomas remains missing. Naa Nuvve is a breezy love story of a Radio Jockey (Tamannaah) and a reluctant acquaintance (Nandamuri Kalyan Ram). Nandamuri Kalyan Ram says the cumulative decision of casting Kajal Aggarwal opposite him in MLA turned out great as the script demanded a popular face. MLA pits Nandamuri Kalyan Ram against a rustic Ravi Kishen as the two battle it out for power in Upendra Madhav's upcoming release. Jai Lava Kusa marks the first time that Jr NTR will be playing a triple role. 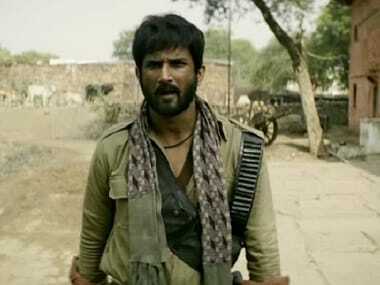 He will portray characters modeled on Rama, Lakshmana and Ravana. 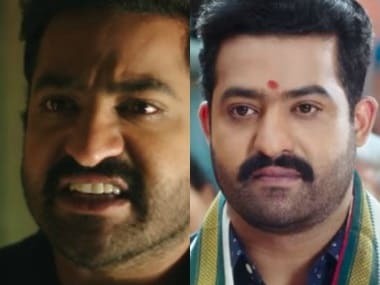 Jr NTR plays three very different characters in Jai Lava Kusa. Recently, a character poster of Kusa was also released.